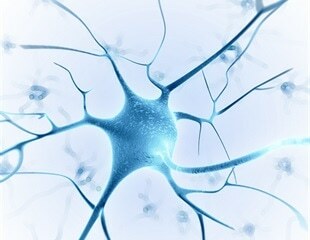 A group of Massachusetts General Hospital investigators is proposing that targeting immune checkpoints - molecules that regulate the activity of the immune system - in immune cells called microglia could reduce the inflammatory aspects of important neurodegenerative diseases like Alzheimer's disease, Parkinson's disease and amyotrophic lateral sclerosis. Researchers in Sweden and United Kingdom have made a breakthrough in Alzheimer’s disease research. They could soon be on the path to develop new drugs that could fight the disease more effectively. A new study published in the Proceedings of the National Academy of Sciences suggests that Huntington's disease may take effect much earlier in life than was previously believed, and that a new drug may be key in controlling the disease. Researchers at Lund University in Sweden have discovered a direct link between the protein aggregation in nerve cells that is typical for neurodegenerative diseases, and the regulation of gene expression in Huntington's disease. Scientists have used a new drug discovery system to specifically target phosphatases in Huntington's, which were previously thought to be undruggable. McMaster University researchers have developed a new theory on Huntington's disease which is being welcomed for showing promise to open new avenues of drug development for the condition. In a new study, researchers from the University of Copenhagen have discovered a hitherto unknown error in the transport of glutamine between astrocytes and neurons in the brain of mice with Huntington's disease.